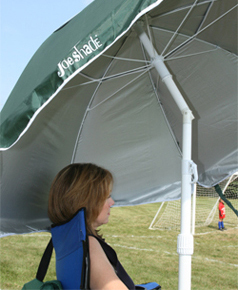 JoeShade® is the original lightweight, portable UV shade umbrella! It stands freely in place, providing UV shade protection wherever you go from the sun and heat. Our shade umbrella sets up quickly on a tripod stand and stores easily in its matching carrying bag. With your JoeShade umbrella, you can keep your cool and stay protected from UV rays, or you can stay dry and wait for the clouds to roll on by. 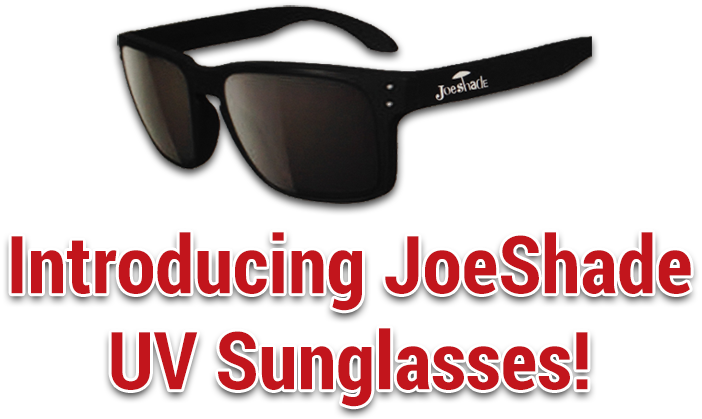 Order your JoeShade UV shade umbrella now!